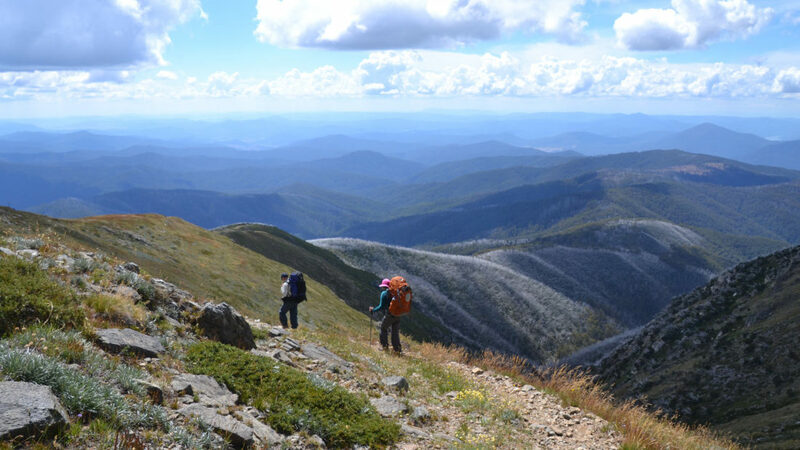 Follow the track up Mountain Creek past the bottom of the Staircase Spur for approximately 5.5 km to Camp Creek Gap. The track climbs steeply up the Eskdale Spur past Mitchell Hut to the tree line where the track intersects with the Granite Flat Track. Once the shelter of the snow gums is left behind the remainder of the walk is very similar to the exposed rocky ascent of the Staircase onto the summit plateau.